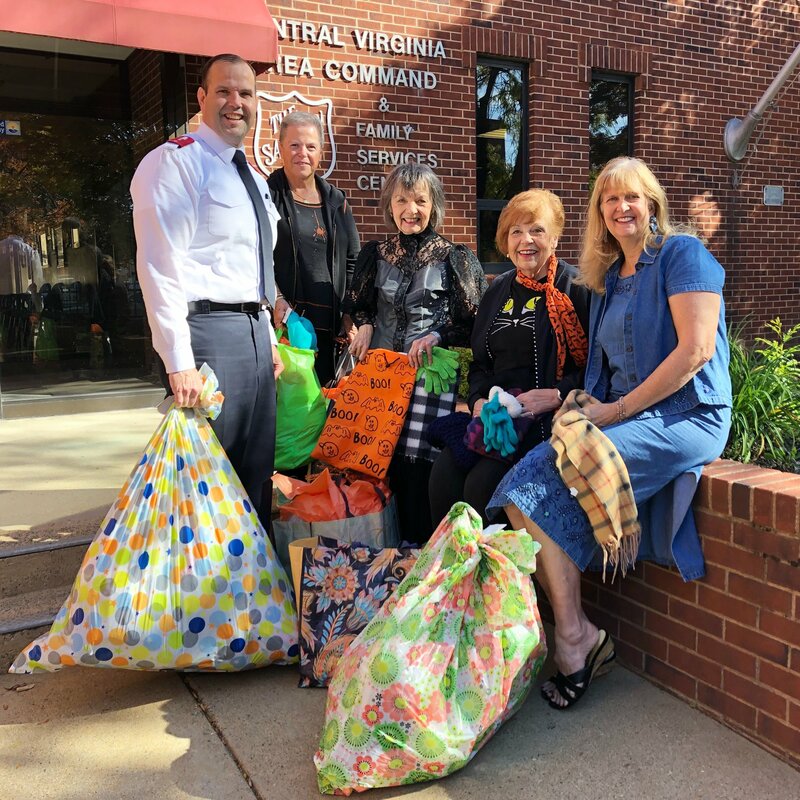 Greater Richmond Chorus - 2018-11-02 - Chorus news item: Keeping Our Neighbors Warm! So proud to help the The Salvation Army of Central Virginia keep our neighbors warm this winter! Through the Basses that Care initiative, the bass section spearheaded the collection of warm winter goodies. Chorus members donated bags and bags of hats, gloves, socks, and scarves to help those served by the Salvation Army. Special thanks to Susan Hannan, Mary Ann Wilson, Cheryl Cross, and Karen Taylor Davis for delivering the goodies. We love RVA!